USFWS plans to reestablish populations of the severely endangered Oregon silverspot butterfly on two National Wildlife Refuges (NWR) in Oregon and Washington. 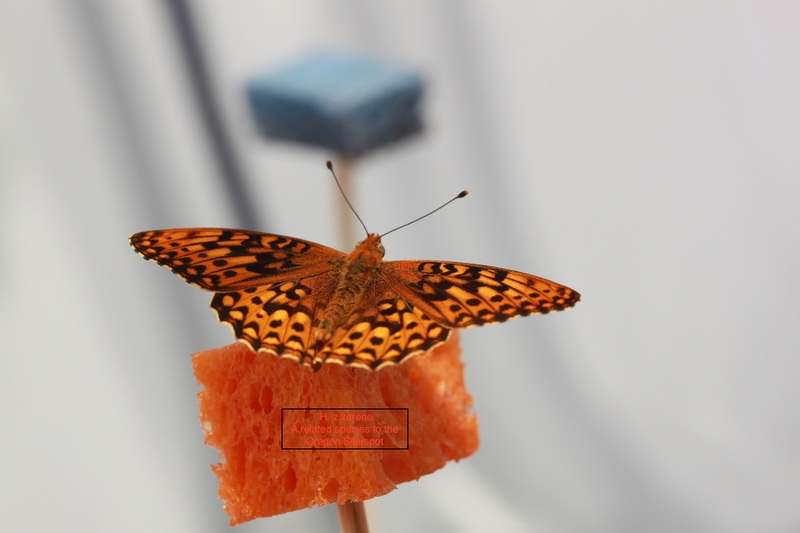 Maintaining suitable habitat for Oregon silverspot is challenging. Oregon silverspot larvae need high densities of their host plant, early blue violet to develop into adult butterflies and the violets are an early successional species that is outcompeted by invasive plants. The project goal is to support refuge managers in deciding whether two selective herbicides should be used to maintain native prairie in the presence of Oregon silverspot. As part of the project, laboratory research will be conducted, and a management model will be developed to inform managers of the impacts of treatment with herbicides on Oregon silverspot viability.